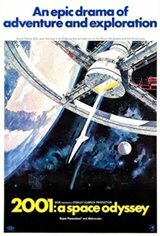 2001: A Space Odyssey spans from the dawn of man to its title year. Stone Age Earth: In the presence of a mysterious black obelisk, pre-humans discover the use of tools - and weapons - violently taking first steps toward intelligence. 1999: On Earth's moon astronauts uncover another mysterious black obelisk. 2001: Between Earth and Jupiter, the spacecraft's intelligent computer makes a mistake that kills most of the human crew - then continues to kill to hide its error. Beyond Time: The sole survivor of the journey to Jupiter ascends to the next level of humanity.